Zircon is a 5,00,000 sq.ft residential project in Pune. It has lavish yet thoughtfully designed residences with various amenities. 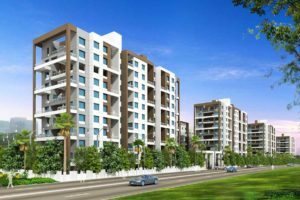 It is advantageously located at Lohegaon, very close to the Pune Airport and several schools, banks, colleges and markets. 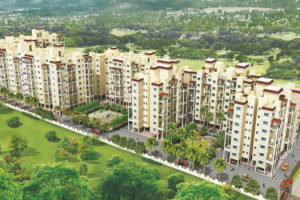 Zircon is one of the popular residential developments in Lohegaon. Both the Aishwaryam Greens residential projects at Wakad and Aundh Annexe are quality homes that are aesthetically designed with special attention towards space management to create the perfect ambience and fill your home with joy and comfort. The Aishwaryam Greens project at Aundh Annexe is just a 5 minutes drive from Aundh where every convenience is just round the corner. 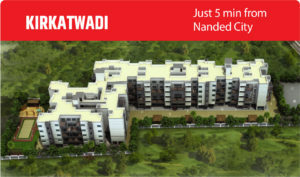 The Aishwaryam Greens project at Wakad also has an equally convenient location. Prism is a residential project in Aundh, a place that combines the advantages of convenience, infrastructure and luxury living. 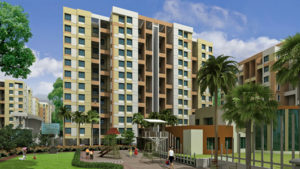 It is advantageously located near the IT & BT Parks of Pune and is at a close proximity to the Mumbai – Pune Exressway. Apart from such an ideal location, Prism is an apartment complex with truly rewarding amenities such as Wifi/ broad band system, fully equipped gym with steam and sauna cabins, swimming pool, party lawn, etc. Windsor County offers 500 comfort homes of 1, 2 & 3 BHK apartments where all the elements of a positive life unite. 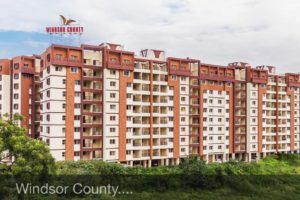 Located in the rapidly developing and cosmopolitan area of Ambegaon , Windsor County offers utmost connectivity along with the delight of living in a place surrounded by greenery and tranquility. Homes at Windsor County have the added value of being Green Value Homes with provisions for rain water harvesting, solar powered street lights, recyclable construction materials and sewage treatment. Windsor County has several unique amenities such as party lawns, amphitheatre, accupressure park and palm groves. Green Value Home at Maple Woodz has 1BHK and 2BHK flats designed specially with eco-friendly goals in mind. Maple Woodz offers amenities like rose garden, skating rink, amphitheatre, jogging track, club house, party lawn, etc. This one-of-a-kind project incorporates quality and comfort with all the exclusive features of eco-friendly living. Be it natural ventilation, rainwater harvesting or even eco-foresting with local saplings, Maple Woodz presents a whole new experience. Aura County has 1BHK and 2BHK homes that radiate luxury. Golf course, skating rink, tennis court, swimming pool, massage room and numerous other amenities are provided for your comfort and happiness at Aura County. It is located at an extremely convenient location with the airport, railway station, Koregaon Park and M.G within minute’s distance. The well-thought-out location, the quality of construction and the impeccable layout makes Aura County worth every penny you invest in it. Neo City is a township of 1200 homes and has been divided into 3 different clusters. Each of these clusters has its individual landscaped areas and amenities. Interesting amenities like party lawns, practice court, multipurpose hall, gymnasium etc. are provided for you. Every home at Neocity has the perfect finesse to its several features, specifications and amenities. Homes at Neo City have optimised use of space to allow natural light and also to enhance ventilation. 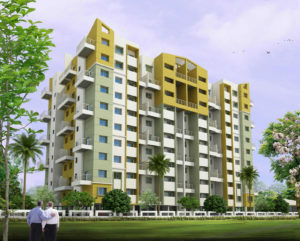 Sai Platinum is one of the commercial joint venture development located in the heart of Pune. 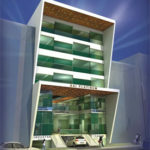 It offers spacious and skillfully designed retail shops, commercial spaces and office space. The project is well equipped with all the amenities to facilitate the needs of the office people. It has total 51 number of units. 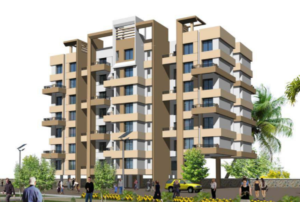 Located in Sadashiv Peth, Pune, Sai Sparsh is a premium housing project was completed and gave possession in December 2007. 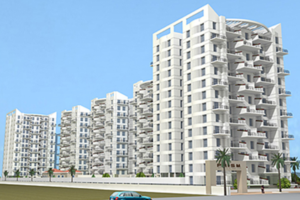 The project offers Apartment in 2, 3 BHK configurations available from 480 sqft to 1368 sqft. 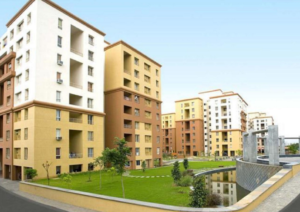 Mahalaxmi MetroSquare is situated in the congested core city area of Budhwar Peth in Pune. This is a redevelopment project where existing residents and shops were accommodated in new structure. This is an long building with shorter side facing road. An introvert plan with number of shops inside and residential behind. An attractive stairs, capsule lift and grand foyer have made elevation interesting. An separate access for the residential apartments which are on back side. Use of black, grey and white color , circular pergola on top has made the building stand out from surrounding. Mahalaxmi Market is an prestigious redevelopment project in the dence core city of Pune at Shanipar Mandai. The uniqueness about this project is the volume of space created on a constrained site. Its an introvert planning with all shops opening inside. An transparent capsule lift and spiral stairs inside make the central atrium interesting. 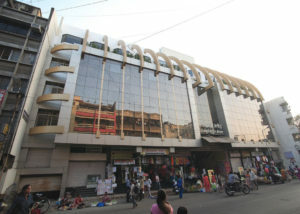 There are shops and hotel on front side with party terrace and behind is the residential apartments. There are separate entries and parking provisions for both users. Building has an glass facade and fenestration which make it look distinct in dense old land use around. Aapla Ghar Chakan Phase 1 marks a new beginning for residential properties in Pune. With modern amenities, welfare housing and provisions for recreation as well as medical facilities, this project is a path-breaking success. 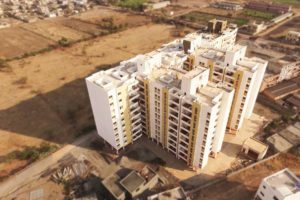 Aapla Ghar Chakan, a scheme of about 500 residences is located in the fully developed and industrialised suburbs of Chakan on the road connecting the Pune-Mumbai Highway. The homes are well planned and comfortable, making optimum use of available space. Aapla Ghar Sanaswadi provides about 1000 residential properties in Pune that are well affordable and extremely comfortable. 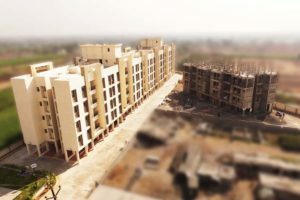 One of the pioneer projects of Maple Group, it is divided into three phases out of which Phase 1 and Phase 2 have been completed and over 350 families are residing in the project. Homes at Aapla Ghar Sanaswadi are specially designed to offer quality with affordability. Aapla Ghar Shikrapur has the best available residential properties around Pune. It is located on the Pune-Nagar Highway and is well connected to the city. The Aapla Ghar project at Shikrapur is close to the Sanaswadi and Ranjangaon MIDC along with many multinational companies like John Deere and Clestra Modular Systems in the vicinity. Hospitals, schools, colleges and markets are just round the corner and every convenience is easily available. As an added value, such good connectivity comes with a green and eco-friendly environment. Aapla Ghar Shikrapur is full of promises of a happy living that fills your home with care, comfort and content. Aapla Ghar Sai Krupa located in Lohegaon which offers the right mix of an exciting city life and relaxed ambience of the countryside. A project committed to an eco-friendly way of life, Sai Krupa Residency has features like rainwater harvesting, recyclable construction material, solar water heater, vermiculture and native tree plantations, to name a few. Simply put, Sai Krupa Residency helps you live an exciting, enriching and enchanting life. 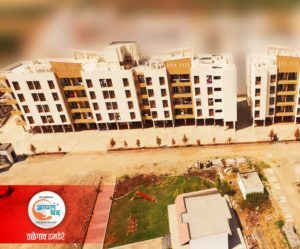 Aapla Ghar Talegaon Dhamdhere is situated amidst the beautiful, green environs of Talegaon district and is very close to the Nagar Highway and to Shikrapur. Aapla Ghar Talegaon offers amenities for both comfort and entertainment to create a home that really cares for you. 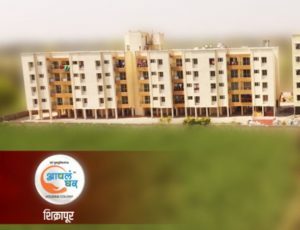 Aapla Ghar Kirkatwadi (Wing A & Wing B) is one of the most versatile Aapla Ghar projects started in 2013 and successfully delivered homes to over 80 families.Apart from good connectivity, Aapla Ghar Kirkatwadi has an array of special amenities that make your dream of buying your first home truly worthwhile and assures you a good standard of lifestyle within a gated community. The project has a total number of 100 flats. • Dhanlaxmi, Shaniwar Peth, Pune 1,00,000: sq.ft. 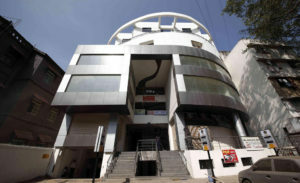 • Crown, Yerwada,Pune: 2004-2005 (15,000 sq.ft. approx. • • Swapna Nagiri, Talegoan, Bombay-Pune Road: 2,50,000 sq.ft.